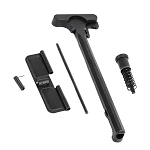 Gorilla Machining has the best source for AR-15 Lower Receiver Parts. 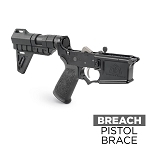 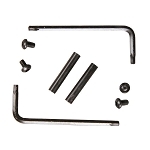 If you are building a stripped lower receiver into a complete rifle or just replacing some old parts we have everything you need from triggers, disconnector springs, trigger guards, hammer springs, trigger springs, safety selectors, detents, bolt catchs, roll pins, build kits, part kits, magazines, stocks, grips, & much more.A high quality lower parts kit needed to assemble your lower. 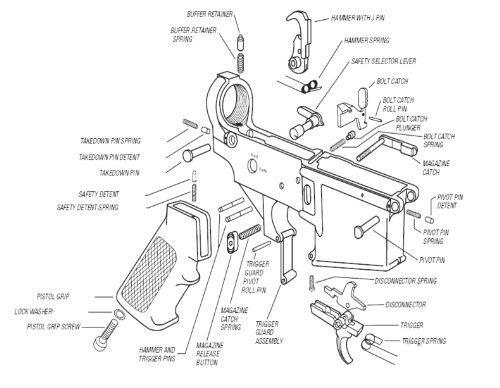 Parts are made in USA!